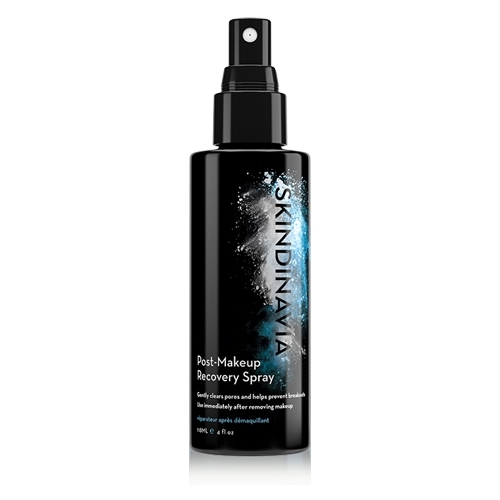 Simply spray on within five minutes of removing makeup. Our cutting edge delivery system works quickly to provide a blend of zinc, magnesium and willow bark to keep skin clear. Formulated to work independently or as a powerful first step in your current skin care regimen. 8oz size will last about 180 days of daily use. • Ultra-fast penetrating formula is applied when pores are most receptive to nutrients, within five minutes of removing your makeup. • Skindinavia's hero ingredient: ZINC. Research shows supplementing skin with zinc can reduce breakouts by 50%. • Zinc protects skin’s lipids and fibroblasts (the cells that make collagen) and reduces oil production, preventing clogged pores. • Developed in conjunction with top makeup artists looking to keep skin clear and luminous between makeup applications. • All SKINDINAVIA products are paraben-free. As the makeup-saving pioneer, SKINDINAVIA has solved the enduring problem of vanishing makeup for up to 16+ hours by creating the world’s best-selling finishing sprays using patented Temperature Control Technology®. The days of smudged, runny makeup are gone - say goodbye to touch-ups! All SKINDINAVIA products are tested for sensitive skin and are oil, paraben, and sulfate-free.